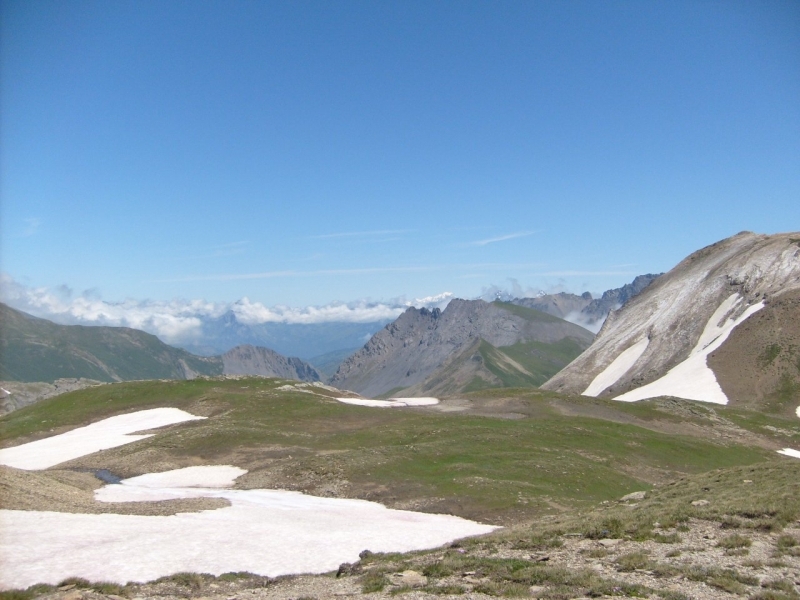 The Lautaret is located in the Hautes-Alpes, in the PACA region and its summit is 2058 meters above sea level. This is one of the lowest points of the ridge that separates the Northern Alps from the Southern Alps. For a very long time, the Lautaret has enabled communication between Grenoble and Briançon to move to Italy. When you are walking in the Lautaret, you must spend some time at La Grave and visit the oratory of Chazelet which is one of the exceptional views overlooking the massif of the Meije. Nothing prevents you then from visiting the Ice Cave situated at 3200 meters above sea level which ice sculptures change every year and enjoy a solid mountain meal high up. 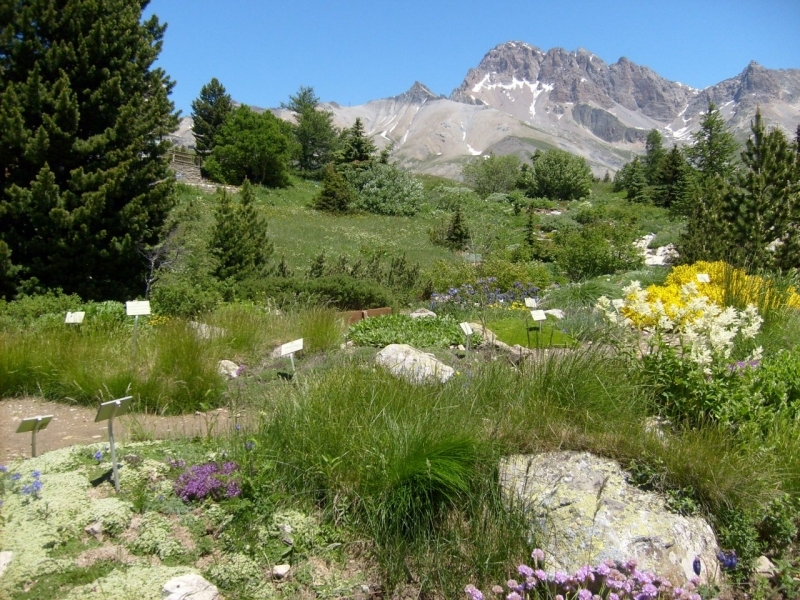 In spring and summer the Lautaret is absolutely beautiful with more than 2000 mountain plants in full bloom. The scenery is just outstanding. 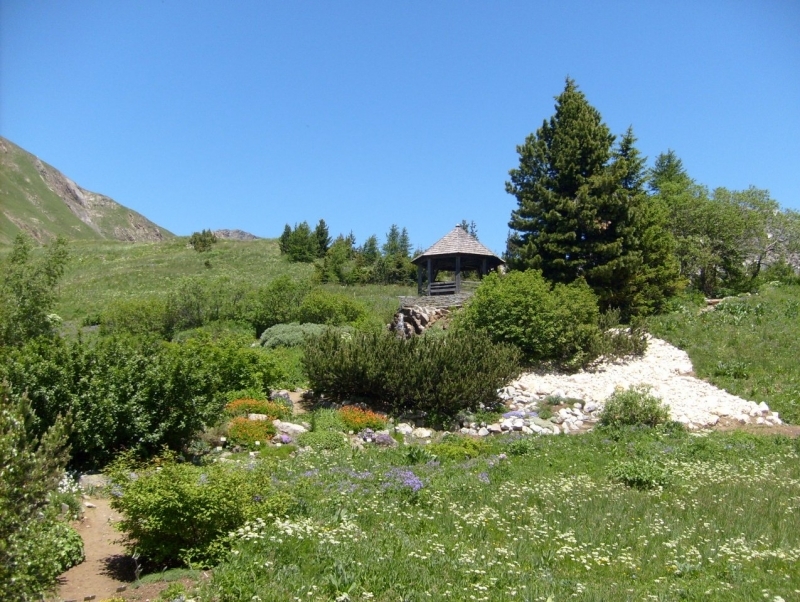 The Lautaret Alpine Garden offers to visitors the discovery of a tour of world plants that go from the Himalayas to the Caucasus through the Rockies and Japan. A nice way to learn and marvel for everybody. Everyone will find happiness as possible activities are numerous and attractive. 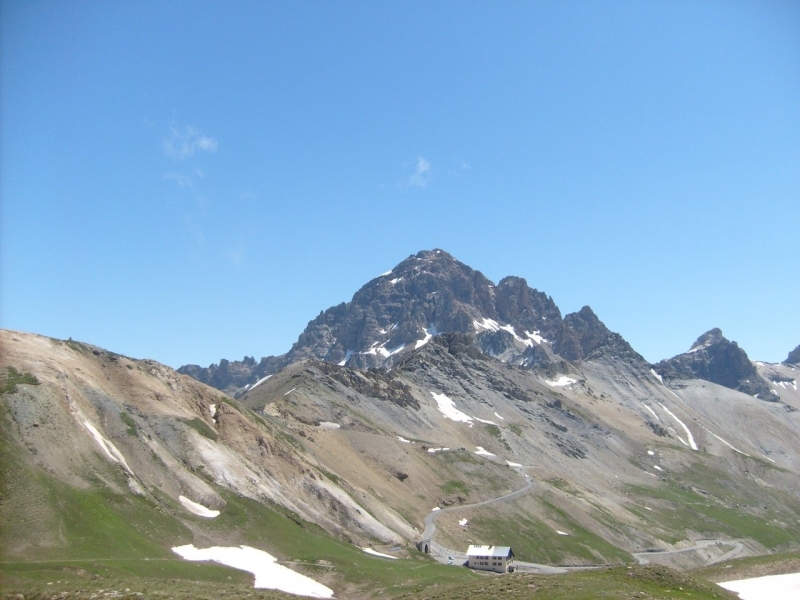 From Lautaret, you may go to the Col du Galibier which is 2642 meters high. The landscape is beautiful and the view from the top is simply gorgeous. On the Route des Grandes Alpes, the Galibier is the second highest pass, the orientation table, which is located 2704 meters high, will offer a truly breathtaking panorama. 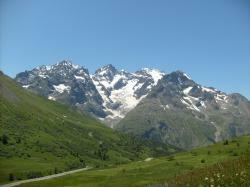 You can see Mont Blanc, the Grand Galibier, the Aiguille d'Arves and also the glaciers of the Ecrins. 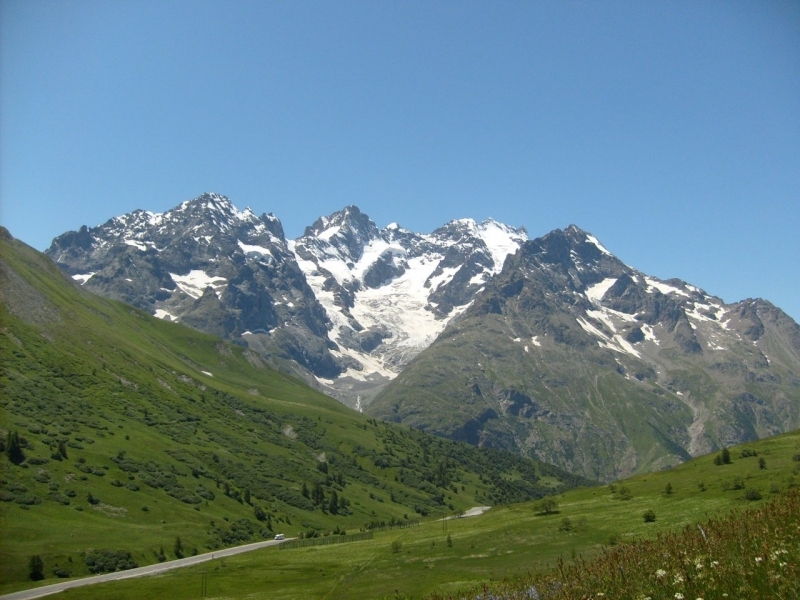 The Col du Galibier is one of the highest point in the Tour de France and it is now possible to contemplate there the monument to Henri Desgrange, champion of cycling. The Galibier Tunnel has been reopened to traffic since 2002 however the bikes are not allowed inside the tunnel : they must still go through the right pass. Choose to spend a weekend or longer vacations in the Lautaret and Galibier area is the assurance of a wonderful stay in a dream setting. Info: Situated in Le-Monêtier-les-Bains, Refuge du Lautaret is set in the heart of Ecrins National Park. It offers mountain-like accommodation with panoramic views of the mountains. Free private parking is provided. Info: Hôtel des Glaciers is located on the edge of the Ecrins National Park, 30 kilometres from the Italian border. It has an indoor swimming pool, Jacuzzi, sauna and fitness centre.